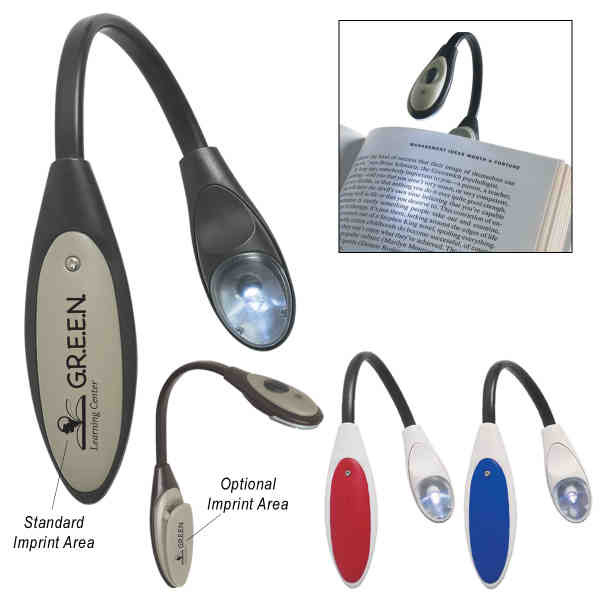 Featuring an extra bright white LED light, this bendable book light easily clips onto books to help you see better in the dark. It has an overall size of 1 1/4" x 10". Available in different color options, have your company name or logo imprinted on the surface and watch your brand outshine the rest! A button cell battery is included. Simply slide the switch to turn on / off. Select this bendable book light for your upcoming tradeshow or convention! Size: 1 1/4 " x 10 "
Imprint Size:3/8" x 1", 1/4" x 3/4"